IMX-101 with a gilded metal rotating band for compatibility with all current and future towed and self-propelled 155mm howitzers. The IMX-101 reduces vulnerability from unplanned detonations of the munition providing greater safety while handling. 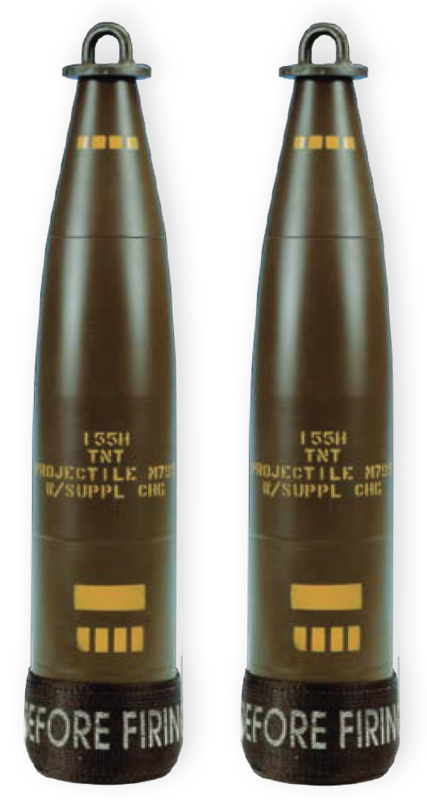 The M795 projectile is employed against personnel, trucks, electronic surveillance and target acquisition devices, supply points, command and control and communications (C3) installations, and mechanized and armored forces.